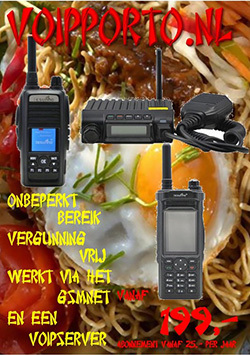 Dit doosje van BaoFeng blijft de gemoederen bezighouden! Hieronder antwoord op, bijna, alle vragen. We hopen er snel eentje binnen te hebben zodat we hem aan de tand kunnen voelen. 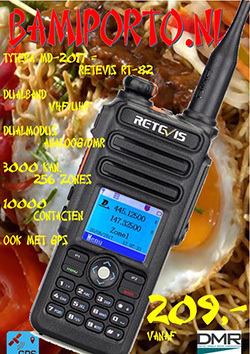 “On September 12th, we announced the release of the BaoFeng DM-5R on Radioddity.com. The BaoFeng DM-5R is the first DMR from BaoFeng, a rising star in the two-way radio production sphere. Radioddity.com and its Amazon Affiliate Store Sanatop are the exclusive retailers of the BaoFeng DM-5R, and the only stores that can be trusted to bring you a genuine DM-5R, backed up with fully cooperative customer support. 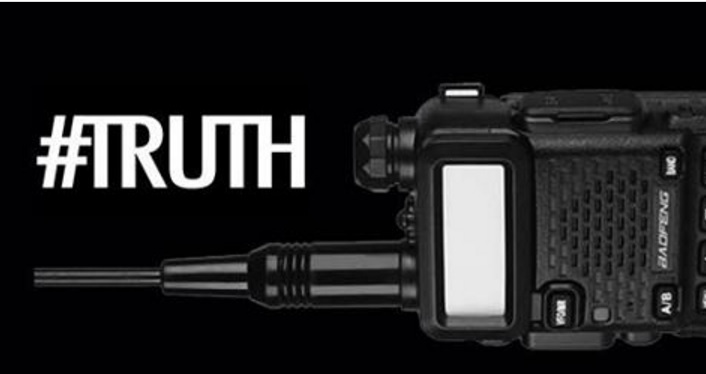 The following addresses a few popular rumors about the BaoFeng DM-5R. Click HERE to Pre-order your DM-5R on Radioddity.com. Send us an email (to support@radioddity.com) or Private Message us on Facebook BEFORE 9/26 to claim your BAOFENG DM-5R, and we’ll email you back a coupon for an extra 10% off! 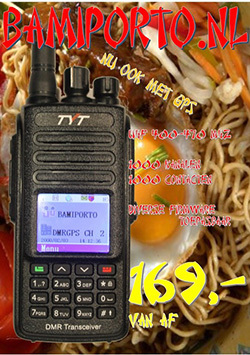 As a manufacturer, BaoFeng has gained a large following in the Ham radio community, and a reputation for producing great quality radios at a very affordable price. 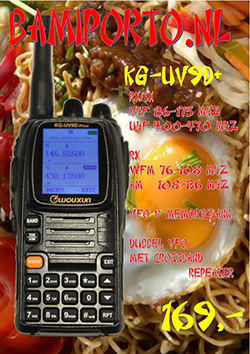 Favorite BaoFeng Radios include the BaoFeng UV-5R line, the BaoFeng BF-888s, the BaoFeng UV-82 line and the BaoFeng GT line. At $70, the dual-band BaoFeng DM-5R provides crystal-clear digital transmission, at a price point unmatched in the digital mobile radio space. Since the initial DM-5R press release, there have been many questions about the DM-5R. We’re here to clear up as many of those questions as possible. We’ll do so with a simple game of TRUE or FALSE. Rumor 1: The BaoFeng DM-5R is not compatible with MOTOTRBO TIER 2. FALSE. While the BaoFeng DM-5R comes out of the box only supporting Tier 1, it can be easily upgraded to support Tier 2 online. The upgrade will be available at Radioddity.com as well as BaoFeng’s official website (under construction). This upgrade costs less than $10. Rumor 2: The BaoFeng DM-5R is a dPMR, not a DMR. The DM-5R meets each of the ETSI Standards listed above. A true DMR, not a dPMR. Rumor 3: The BaoFeng DM-5R is not FCC or IC certified. FALSE. The BaoFeng DM-5R has met FCC and IC standards in its testing. The documents may not be visible online, as it takes about 4 weeks for the documents to be available. TRUE. As with many popular models, manufacturers in China will almost instantly flood the market with cheap counterfeits. Be wary of where you buy your DM-5R. Radioddity.com and our Amazon Affiliate Store Sanatop are the exclusive retailers of the BaoFeng DM-5R, and the only way you can be sure to get a genuine DM-5R with full customer support and accompanying warranty. All in all, the BaoFeng DM-5R is an important radio. Whether you upgrade it to Tier II or not, the DM-5R will provide crystal-clear transmission, all in a familiar package and at a price point that can’t be beat for a DMR.